So, with the end of Death Parade and Tokyo Ghoul √A, that means that there will be new shows incoming so the block can continue. Last night on Funimation’s DubbleTalk, we found out the two new shows that are replacing the old shows. Replacing Death Parade will be Seraph of the End: Vampire Reign. As described on the web show, an apocalyptic event decimates the world population, and the world is taken over by vampires who herd humans as cattle. This seems very interesting, even though this is from the creative minds behind the very overrated show, Attack on Titan. Luckily, it’s not AoT, so there is some promise here. Here is a plot synopsis. From Wit Studio, the creative force behind Attack on Titan, comes a brand-new action series—Seraph of the End: Vampire Reign! After a mysterious virus wipes out ninety percent of humanity, vampires emerge from the recesses of the earth to enslave mankind, treating them like livestock. After growing tired of donating blood in exchange for protection, 12-year-old Yuichiro Hyakuya and his best friend Mikaela Hyakuya plot an escape along with the other orphans. After being the only successful runaway, Yuichiro joins the Moon Demon Company, an extermination unit of the Japanese Imperial Demon Army dedicated to killing off vampires. A true shonen fan should not miss out on Seraph of the End: Vampire Reign! 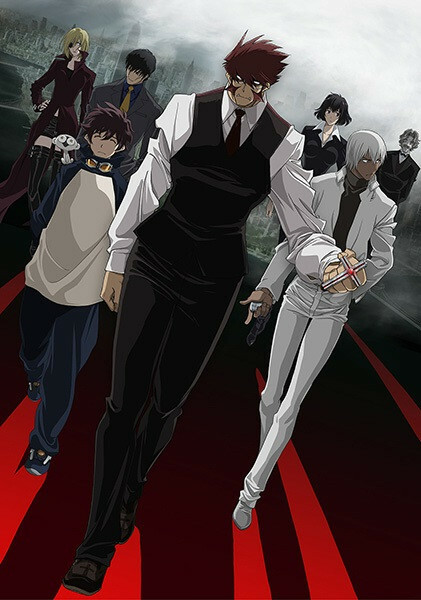 Blood Blockade Battlefront will be replacing Tokyo Ghoul √A, and this is from the creator of Trigun, Yasuhiro Nightow, and Studio Bones. I have a bit of adoration for Trigun, and since the show is based right across the bay from where I live, it hits home for me. So, the Netherworld spawns otherworldly creatures in the middle on New York City, and there is an impenetrable bubble around it? Count me in! Here’s the synopsis, courtesy of Funimation. A breach between Earth and the nether-worlds has opened up over the city of New York, trapping New Yorkers and creatures from other dimensions in an impenetrable bubble. They’ve lived together for years, in a world of crazy crime sci-fi sensibilities. Now someone is threatening to sever the bubble, and a group of stylish super-humans is working to keep it from happening.